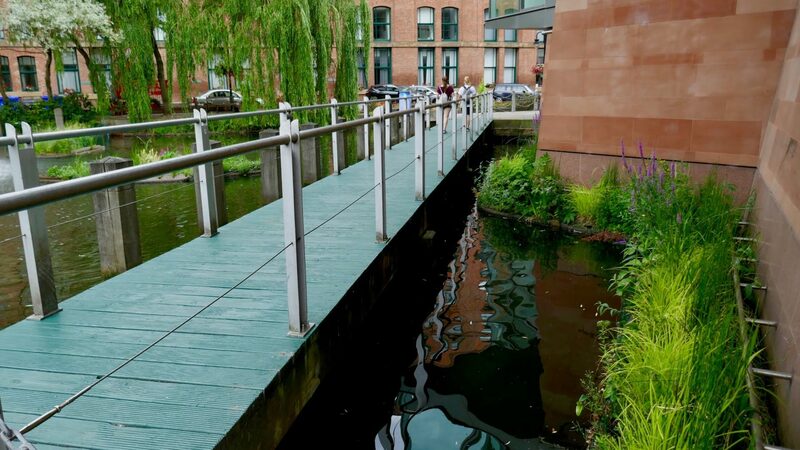 Bridgewater Basin is a disused branch of the Rochdale Canal in central Manchester, situated outside Manchester’s premium international concert hall. 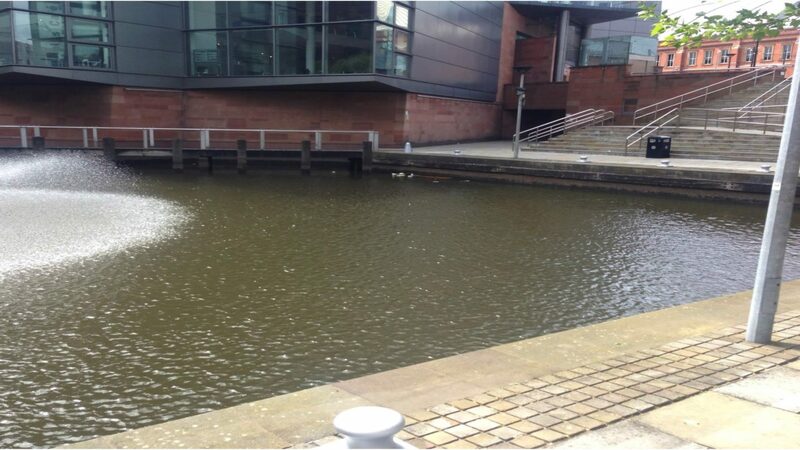 It was devoid of healthy aquatic life and completely surrounded by vertical hard stone and concrete edging. 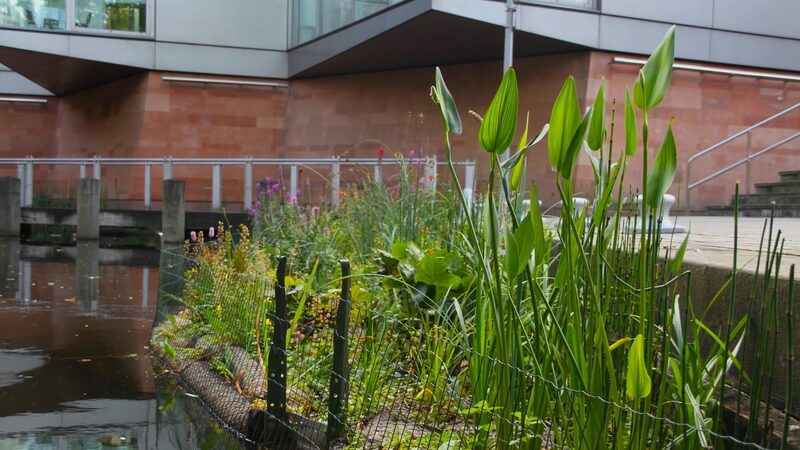 The frequent fluctuations of waterlevels and the concrete edges made traditional sloped edge planting impossible in this urban location, limiting the basin’s water quality, aesthetics and natural waterscape appeal. 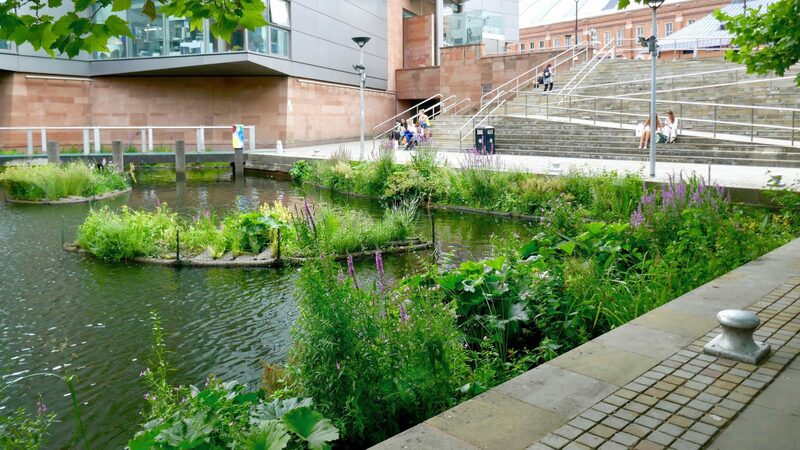 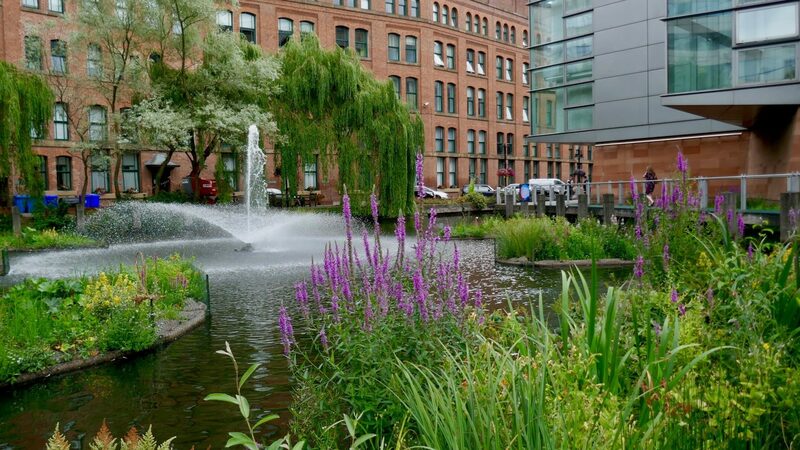 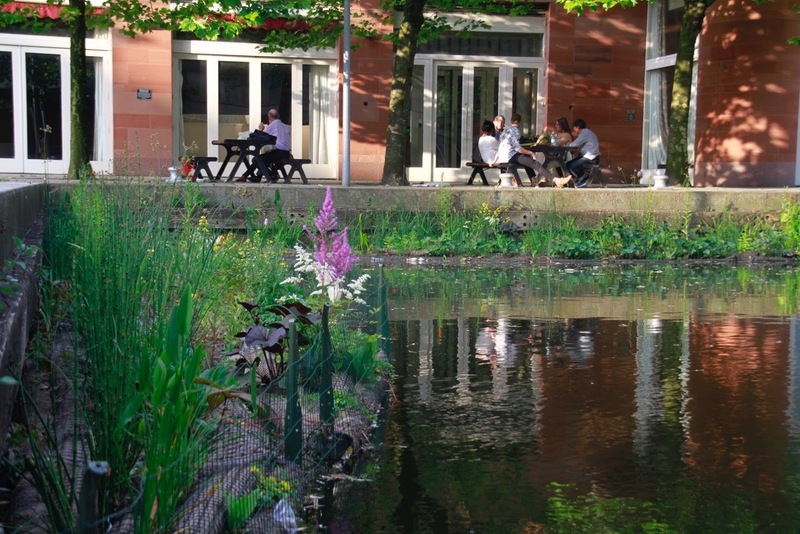 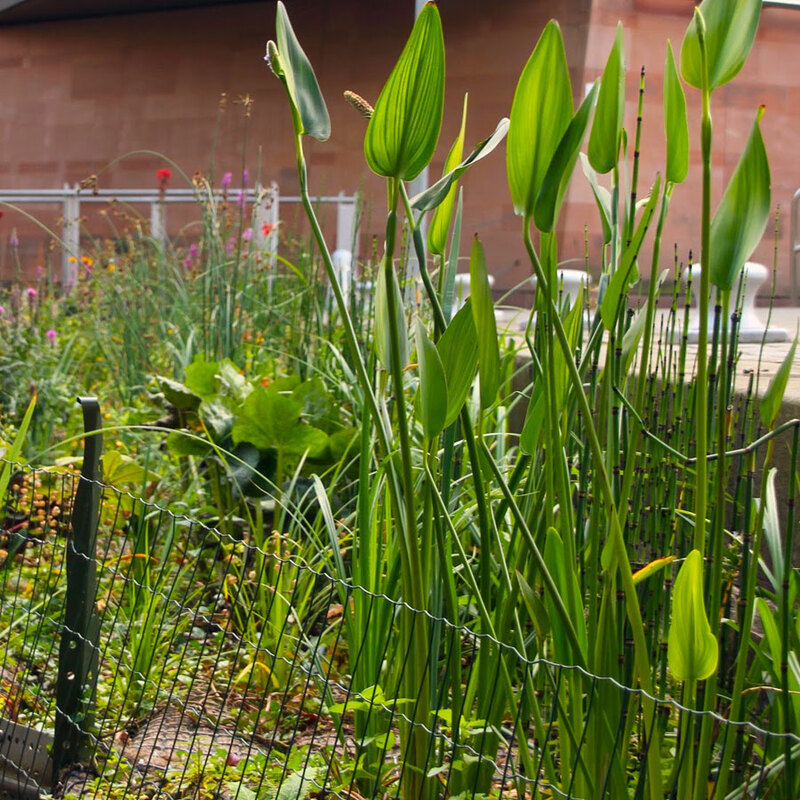 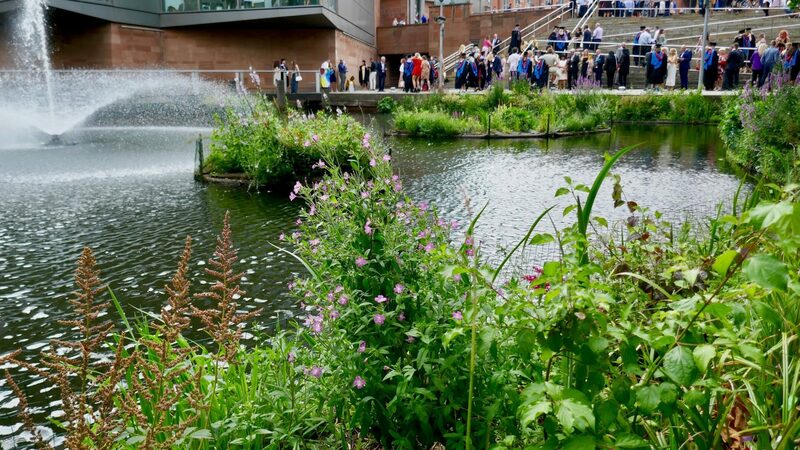 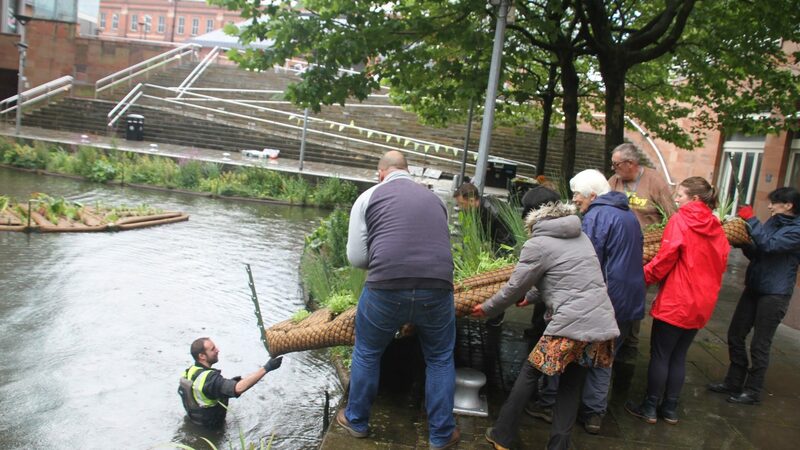 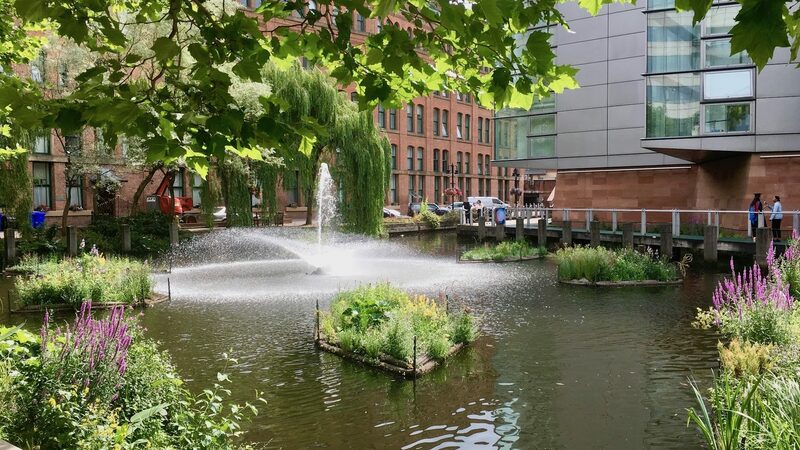 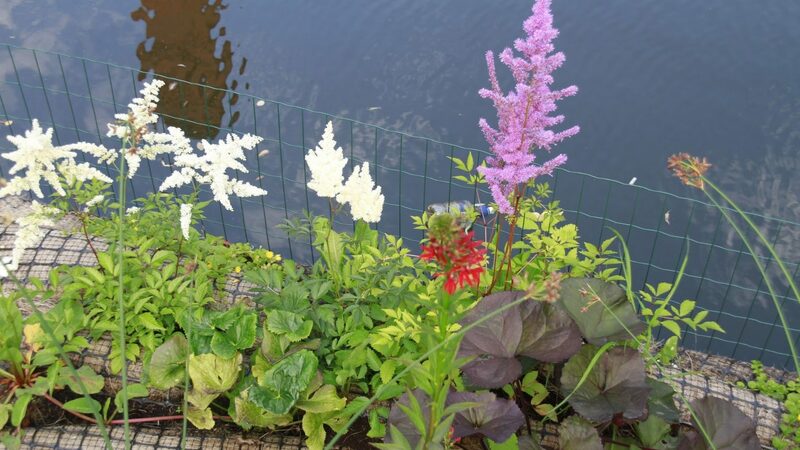 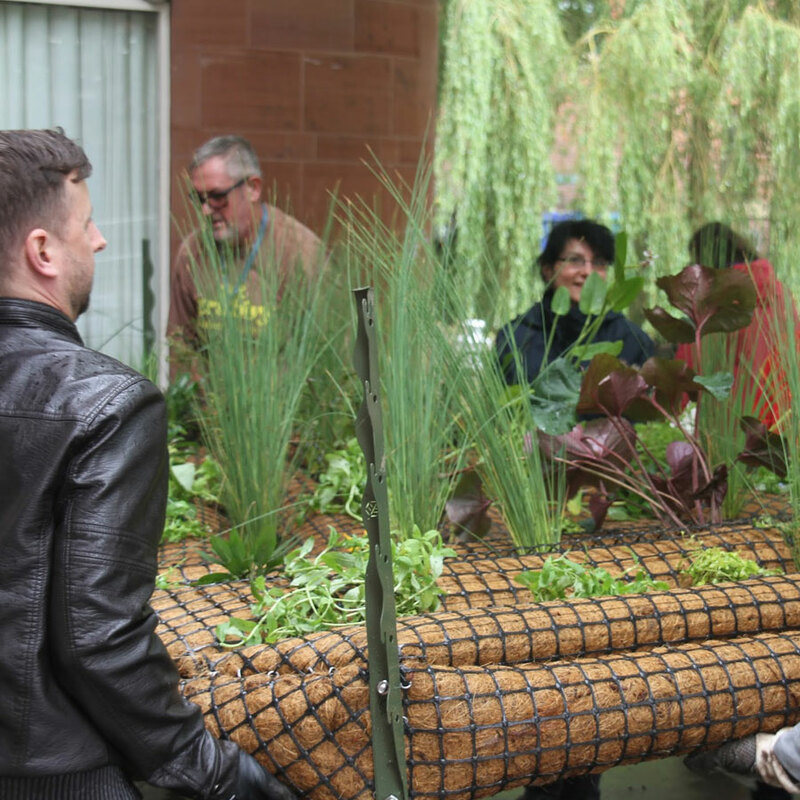 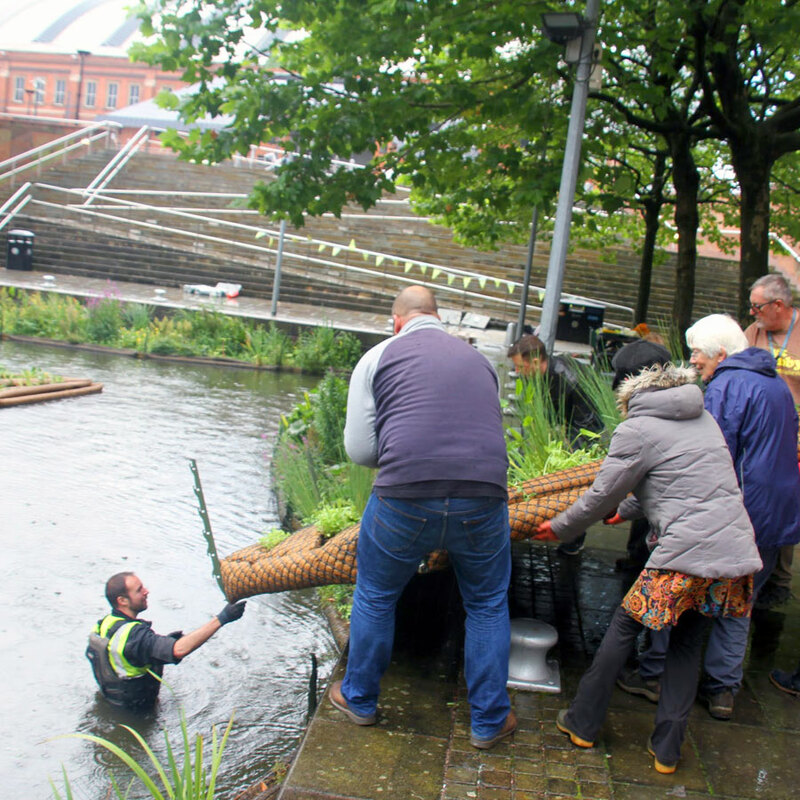 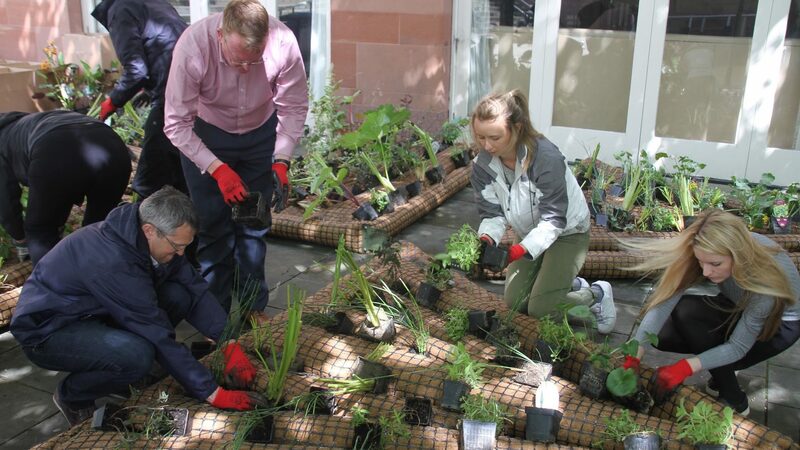 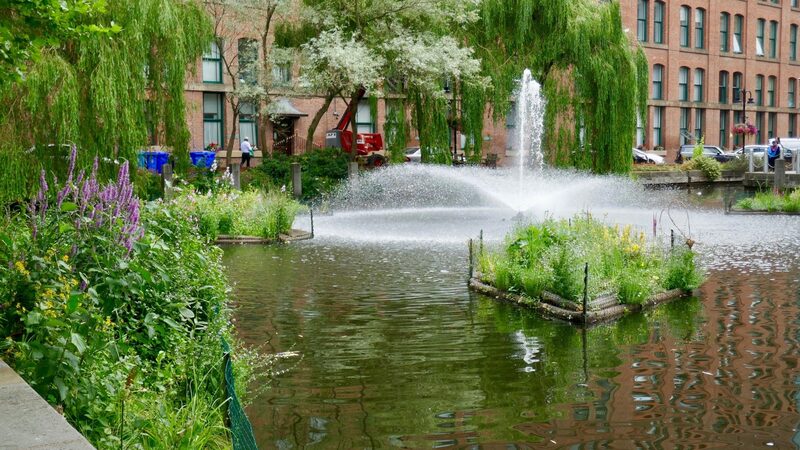 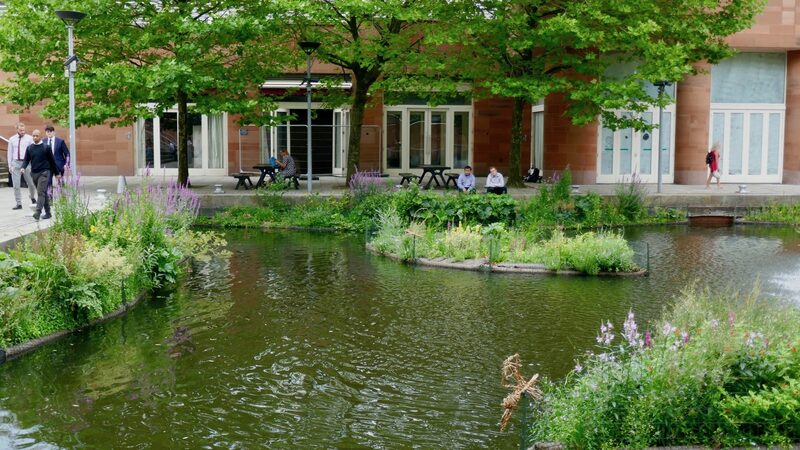 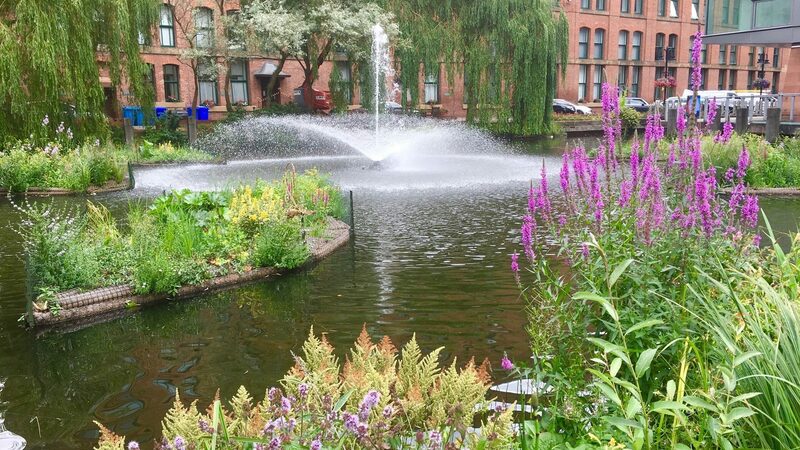 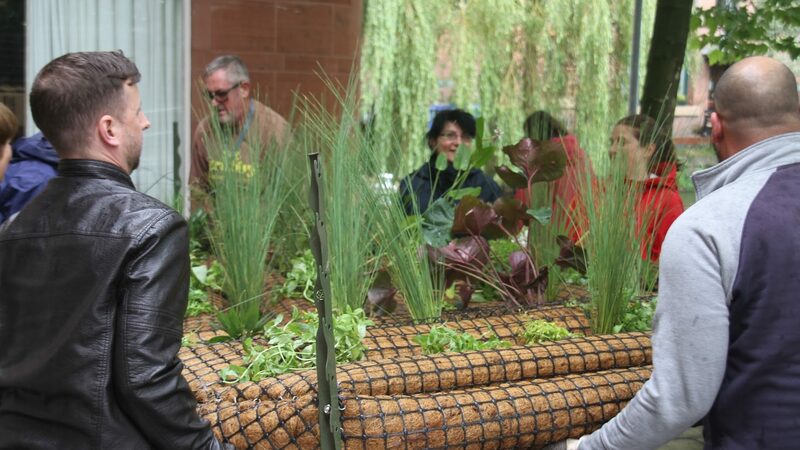 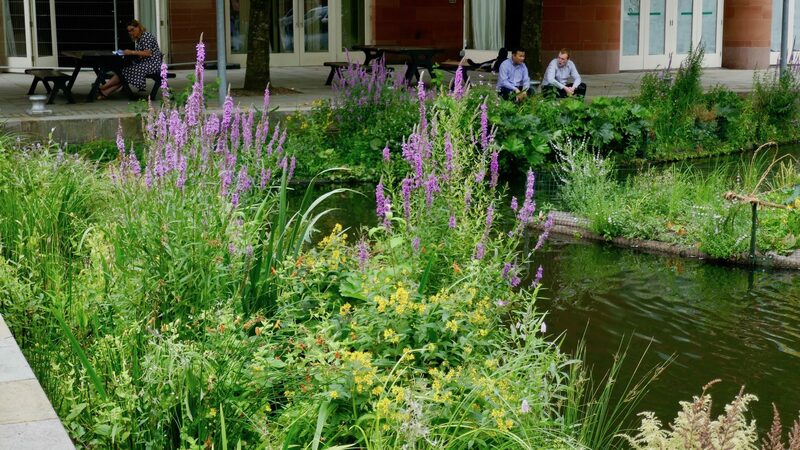 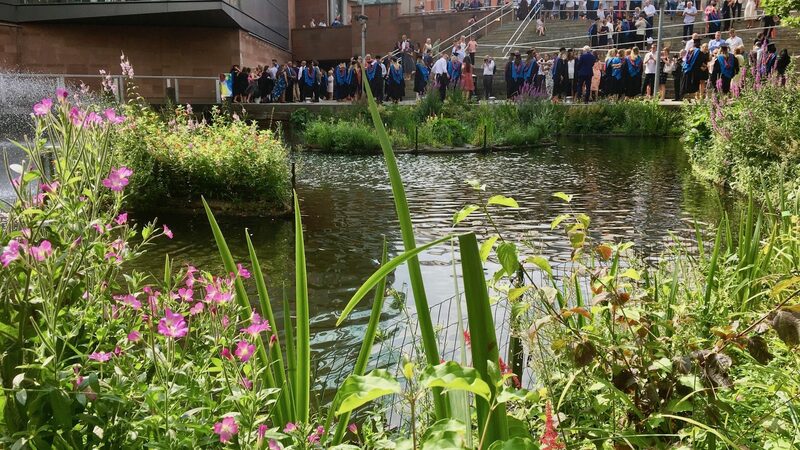 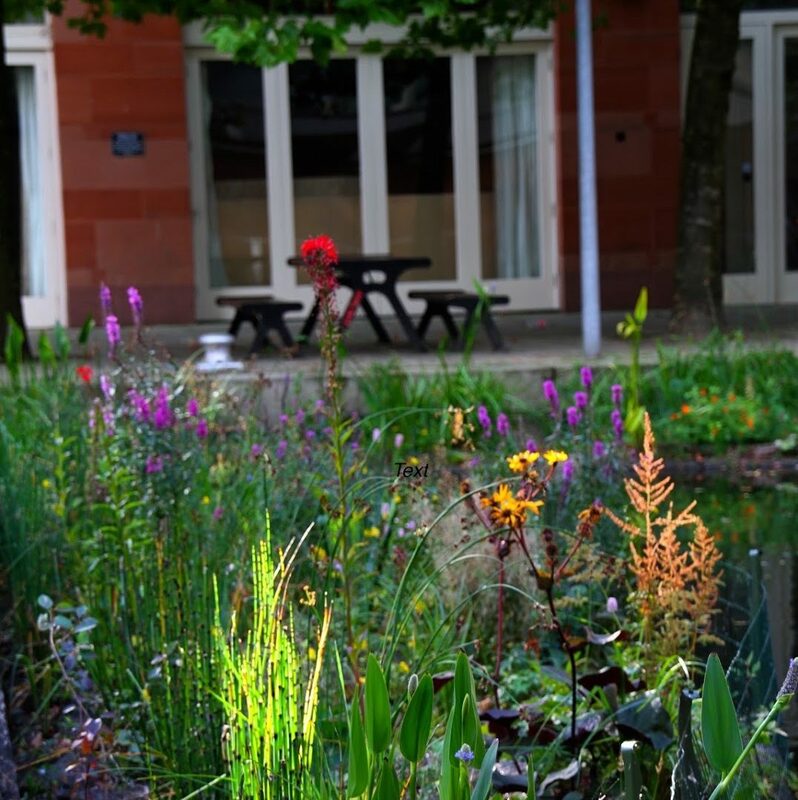 Working closely with Manchester City Council’s Green Infrastructure team and with BDP Landscape Architects, a series of floating waterscape gardens was installed over two years. 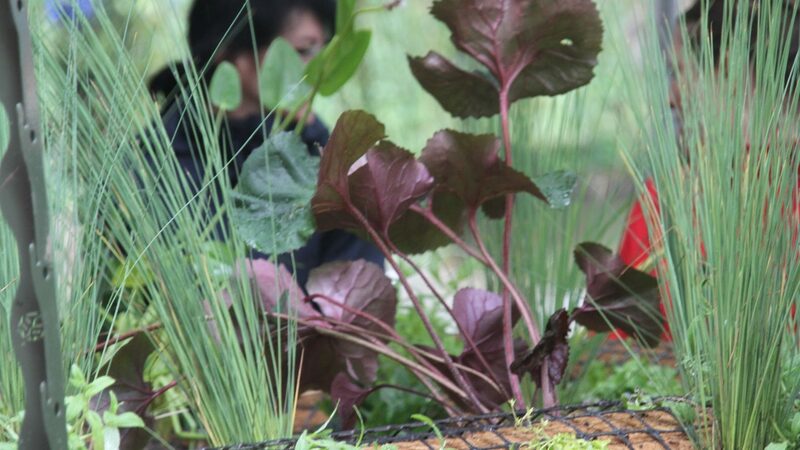 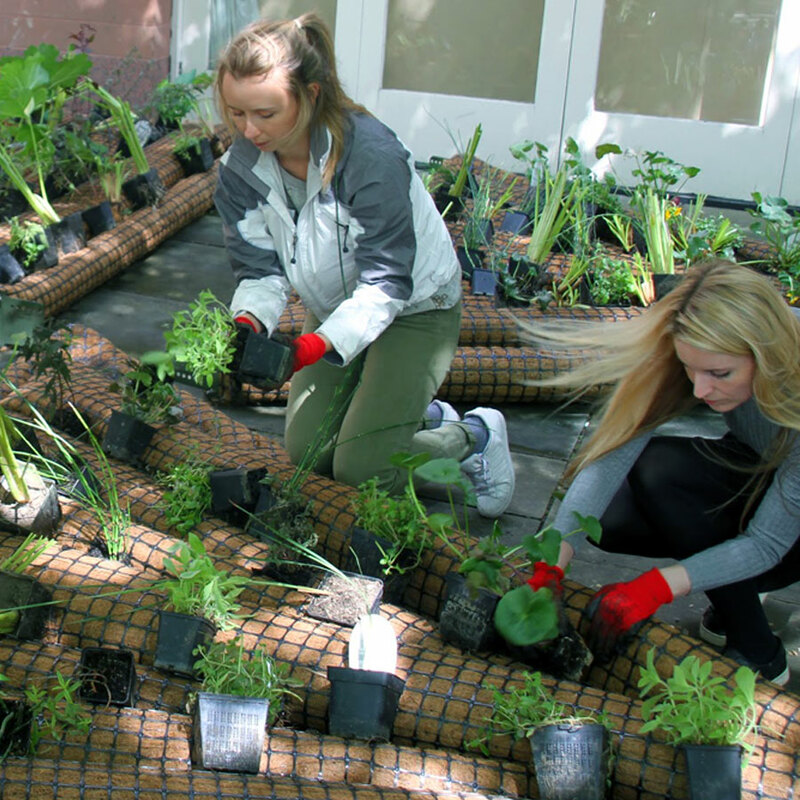 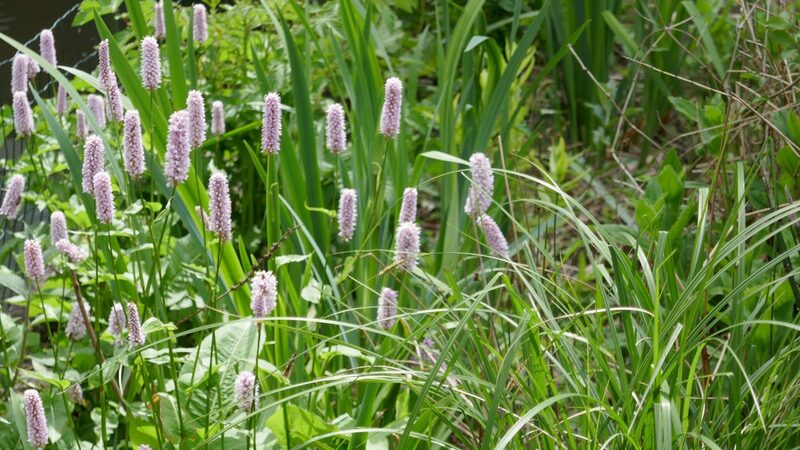 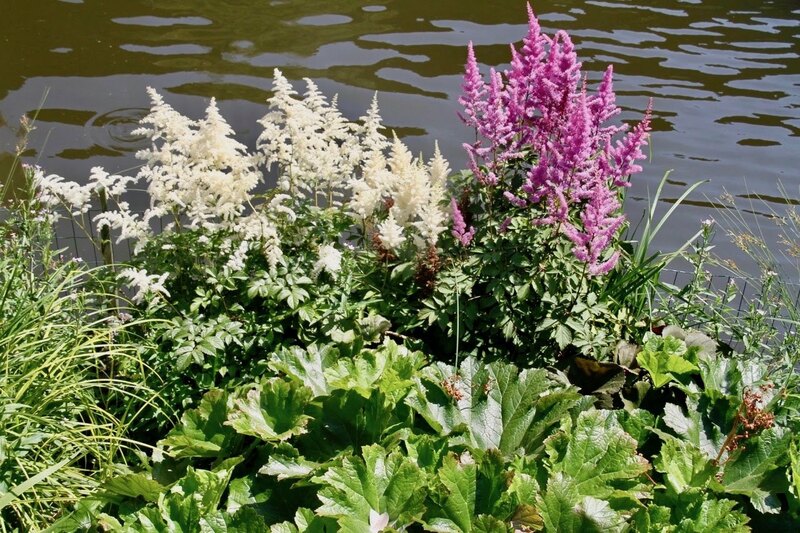 The project includes more than 20 varieties of marginal aquatic plants and engaged with six different volunteer groups to complete the process. 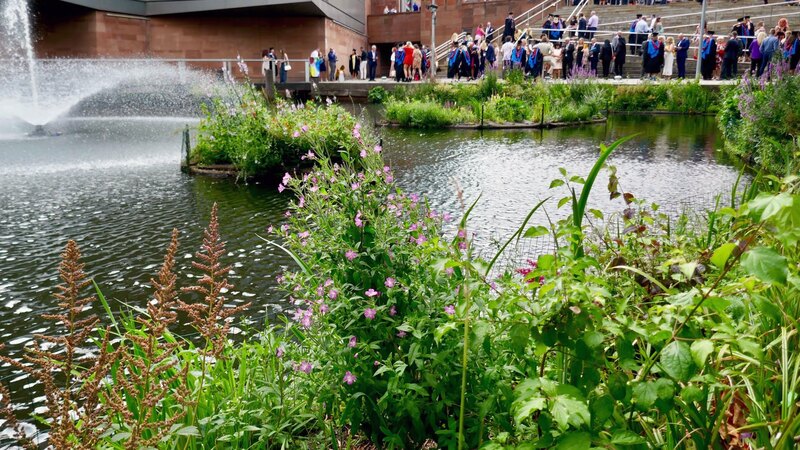 The planting concept for the Bridgewater Basin explores the analogy of music, melody and symphony, contextualising with the Bridgewater Hall setting. 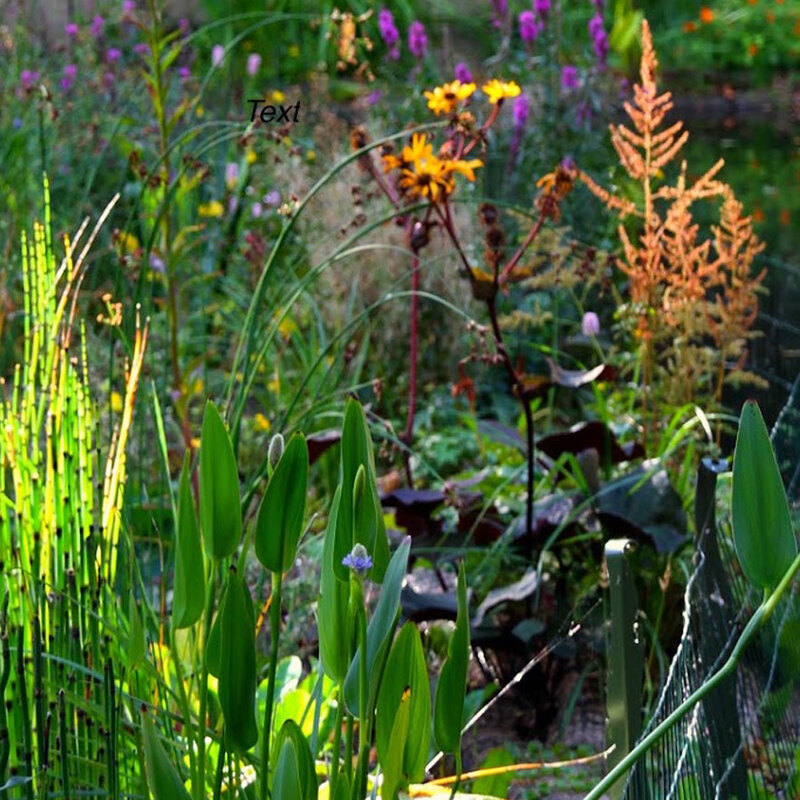 It also illustrates the neurological phenomenon of synesthesia, in which sounds heard evoke thoughts of colour. 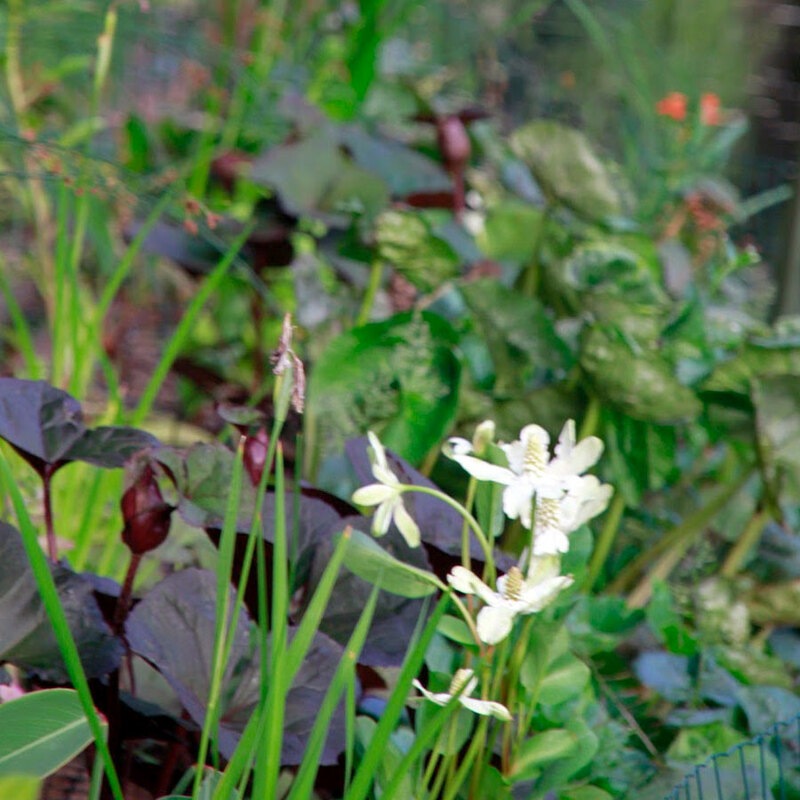 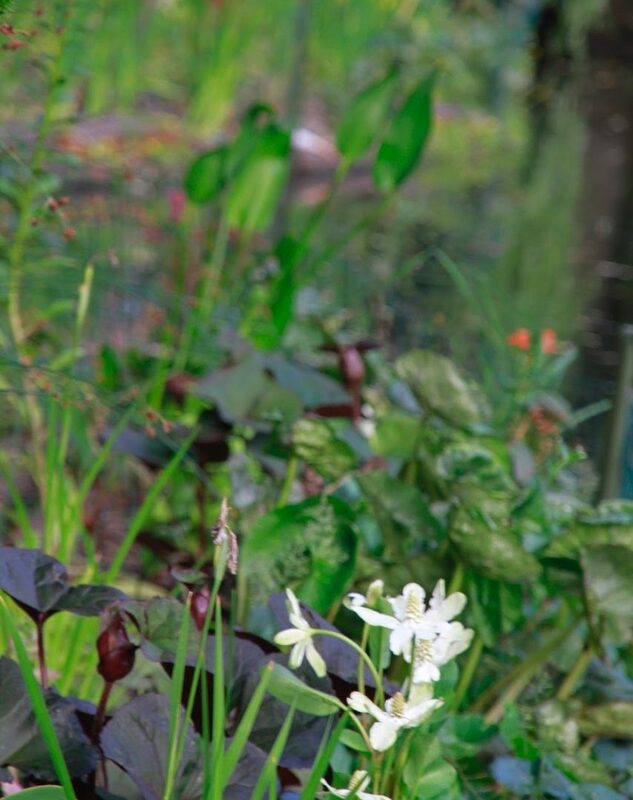 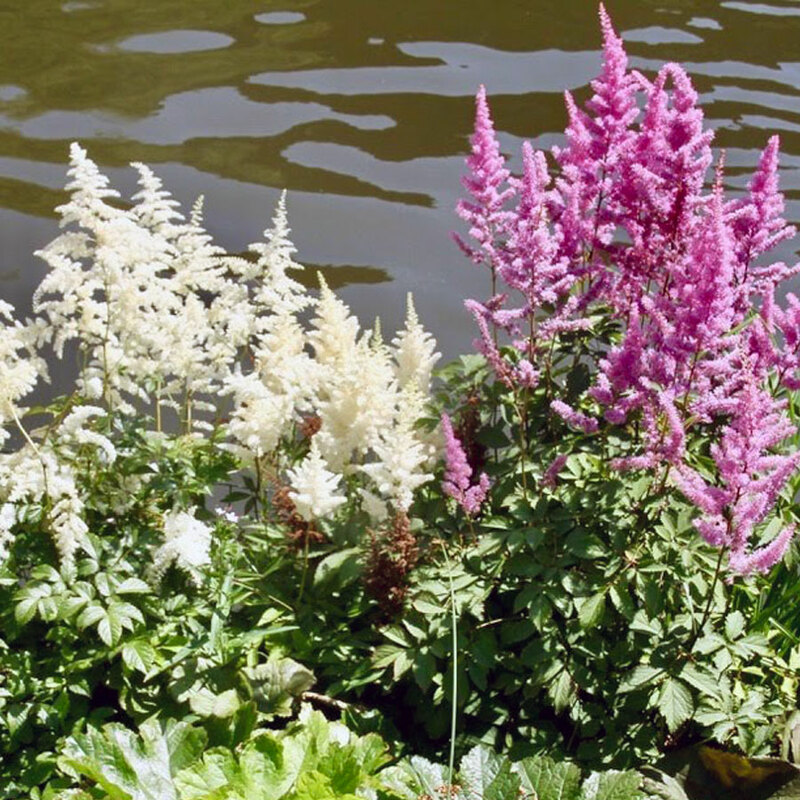 The plant species for the islands have been carefully selected to reflect the colours, rhythm, form, texture and movements associated with a musical composition. 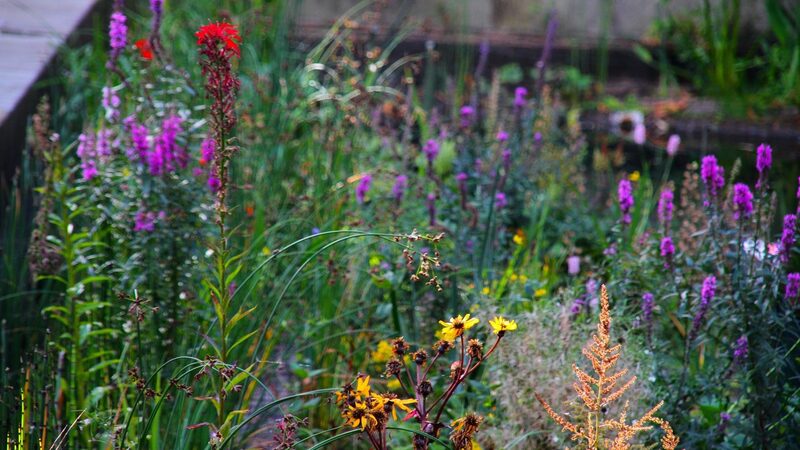 The plant composition is one with varying textures, shapes and bursts of colour to evoke the sense of spectacle that would come with a piece of music.